is a 2nd generation woman-owned business located in Castorland, New York. The business was started in 1984 by Tina Zehr, the mother of current owner Samantha Widrick. Tina ran the business until 2003, when Samantha took over and relocated the business to a location on the VanAmber Road in Castorland, NY. When Samantha first took over the business it was focused on garden center sales of annuals and several trees and shrubs. Through the years, the business has expanded the garden center’s inventory to include shade trees, evergreens, roses, fruit trees, fruit plants, perennials, grasses along with bulk and bagged mulch. Today the business is family operated and oriented. 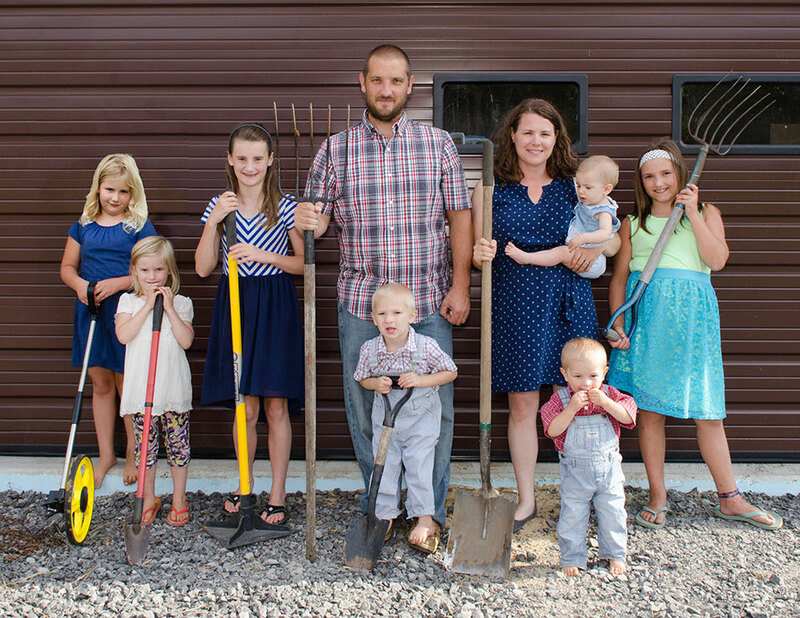 The Widricks have a large family with seven children; Kendra, Anna, Alejandra, Faith, David, Brock and Nevaeh. According to owner-operator Samantha, all the children are very involved in the business. Ten-year-old Anna loves to operate the hydroseeder and her mother calls her the family’s hydroseeding gal”. Samantha and Tim are having fun being able to work as a family and watch their children get more involved with the family business as they both continue to grow. In 2007, Samantha’s husband Tim joined the business and brought with him his construction expertise. Since then, Zehr’s Flowers & Landscaping has grown substantially in services. From what was once a roadside vegetable and plant stand now is a garden center and an expanding landscape design firm. Detailed landscaping services include computerized landscape design, plant installation, lawn installation, garden maintenance, custom grafting and most recently expanded hydroseeding services. In 2011 Zehr’s received its first commercial contract at Fort Drum which proved to be a turning point for the business. Samantha hit the ground running and reached out to many prime contractors in the state of New York to expand her service coverage. Six years later, in 2017, Zehr’s built a new facility which allowed them to expand their garden center, their tree and shrub nursery and allowed them to build more office space for their residential and commercial landscaping business. Today Zehr’s Landscaping divison of their business focuses on residential and commercial lawn and plant installation, garden maintenance and hardscaping. Zehr’s Landscaping division is also capable of hydroseeding and straw blowing for highway construction. Zehr’s Flowers & Landscaping broke into the hydroseeding business in 2010 after purchasing a used FINN T60. Before making their purchase, Samantha did thorough product research and concluded that FINN was head and shoulders above the competition – and she hasn’t looked back. In 2014 Zehr’s bought a used T110 to triple their original hydroseeding capabilities. 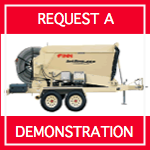 In 2015 they purchased a used FINN B260 Strawblower to compete on contracts which require this specified process. This year Zehr’s Flowers & Landscaping purchased a new FINN T170 Super from hydrograsscorp.com. The T170 Super that Zehr’s chose came with all the available options including the pump fill package, remote control and air flush system. The T170 Super was mounted on a used Kenworth truck furnished by hydrograsscorp.com. All new FINN equipment comes with a two year/2000 hour limited warranty. Zehr’s has kept all their used FINN equipment due to the increase of work volume their firm faces. Samantha and Tim, in conjunction with their financial adviser, decided to buy a new piece of equipment at this time because of the expected longevity of the new FINN machines. The new FINN T170 Super will provide far greater productivity and increased reliability for the foreseeable future. 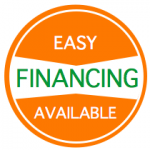 Breakdowns for small businesses can cost tremendously, especially if the company is relying on the machine for income. The business also has to pay their employees even though the work isn’t being completed (variable wage rates depending on contract requirements). Simply put equipment breakdowns can add up very quickly, making a once profitable job unprofitable.